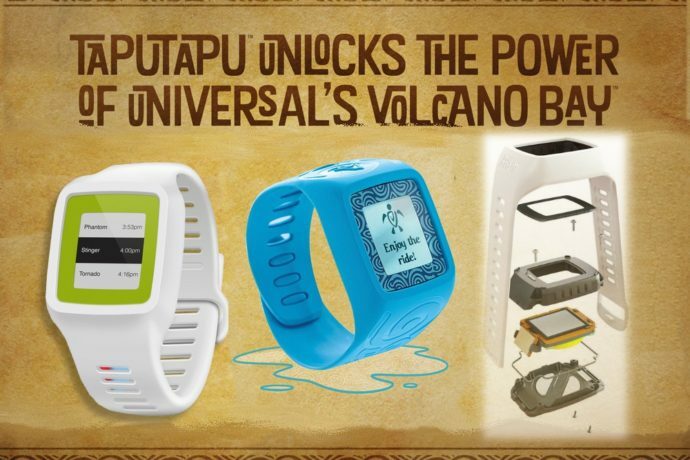 We’ve heard all about the TapuTapu and how it will be used at Universal’s Volcano Bay, opening May 25, 2017. It’s a wristband visitors will pick up when they arrive, and throughout the day they can use it to hold their place in line while they do other things, instead of standing in line. Today though, I’d like to delve into the tech behind the Tapu. UPDATE: Check out our complete guide to the TapuTapu at Universal’s Volcano Bay here! 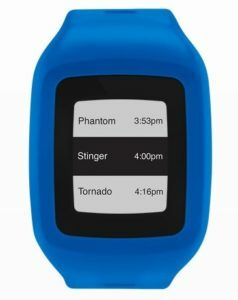 For years you’ve been able to pay for the ability to use something called the Qbot at the Universal Orlando parks. This little electronic GigaPet lookin’ thingy would allow you to reserve ride times for many of the attractions at each park. You pay for this service, just as you would pay for Universal Express, except that the ride reservation system was cheaper. Now, this wasn’t something Universal advertised on their website or on commercials, but some days you may have noticed a sandwich board advertising a ride reservation system when you entered the park. Or maybe you remember seeing a sign that said “Ride Reservation System Drop Off” on your way out at the end of the day. The Qbot is an innovation of a company named “Accesso” that produces virtual queuing systems. It’s my assumption that the technology behind TapuTapu is also an innovation of Accesso, and this new more advanced system is called Prism on their official website. 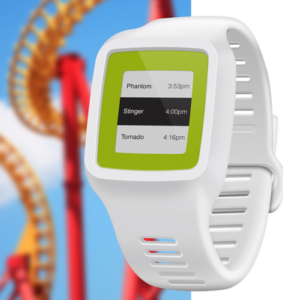 Prism is a next-generation, wearable device that shines a new light on the guest experience, giving theme parks and attractions the power to schedule ride bookings without kiosks or cell phones, and connect with guests in new ways throughout their entire visit. This new wearable is the latest offering among accesso’s line of accesso LoQueueSM virtual queuing solutions. 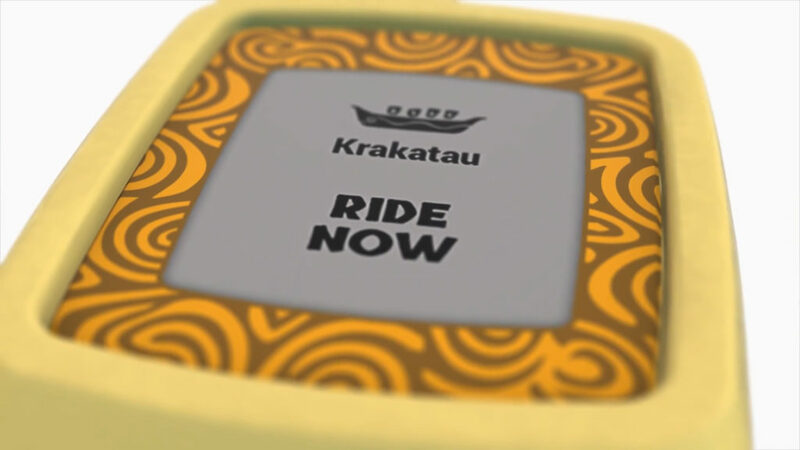 In addition to the features we already know will be used at Volcano Bay like virtual queuing and interactive elements throughout the park, the system is also capable of more complex tasks including wallet-free payments, direct messaging and proximity-based marketing, ride photo tagging, turnstile/locker/hotel room door access, and of course, guest tracking and data collection for statistical reasons. 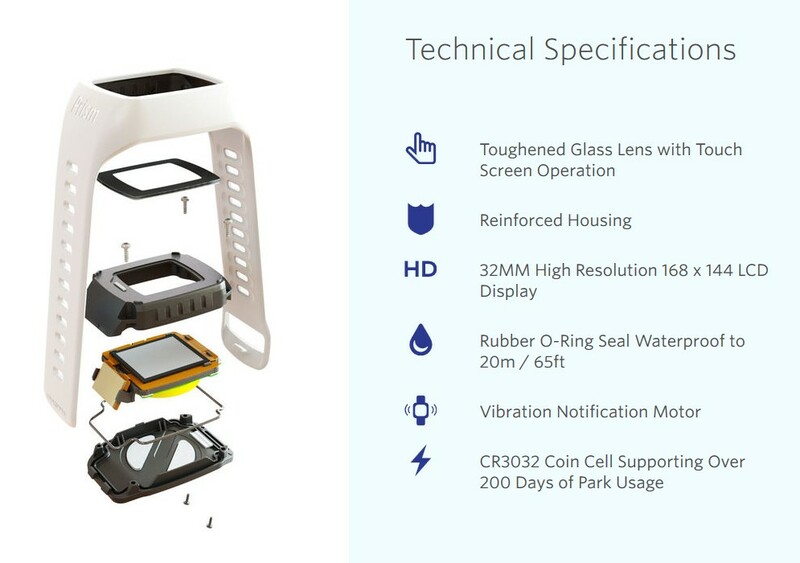 Let’s break down each of these features individually. Below are all the major features available, first as described by Accesso, and then we’ll discuss what each one could mean for Volcano Bay… And maybe even the entire resort in the future. A waitfree experience as guests reserve their place in line, change their ride selections and monitor their ride return time. 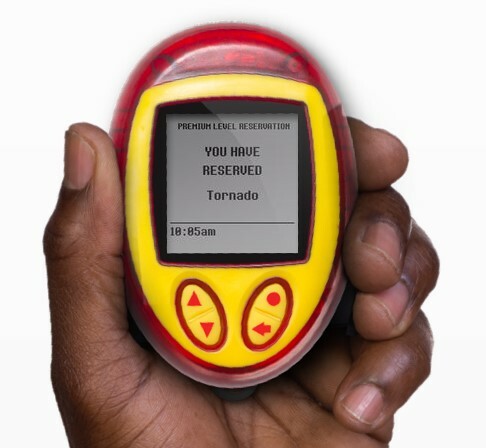 While we’ve known about the ability to reserve our place in line, I’m not sure Universal has ever made it clear that the TapTapu will feature a touch screen that allows you to update and even remove your reservation directly through the device. Whether or not Universal will use this feature in its entirety is unclear, but it does answer questions some folks have about how to cancel reservations without there being kiosks in the park. A walletfree experience with cashless payments via secure Near Field Communication (NFC) technology. Other water parks like Aquatica have been using cashless payment systems for years. This is a great way to increase customer spending in a place where you can’t always carry your wallet with you. Guests would connect a credit card or even put cash onto their account to be used all day. Aquatica even allows you to limit how much each person in your party can spend during your visit. Again, this isn’t something Universal has announced yet, but they would be wise to offer it as an option. Stay in the know with with push notifications for proximity based marketing, operational updates, or status of pending virtual queue positions. This is a big one. The operator of this system is capable of sending park-wide messages to everyone’s wristband. This can be handy for promotions, notice of inclement weather approaching, or even to help locate a lost child if the need arises. But they can also use the system to market a product or service directly to you individually based on your current location. Maybe there’s a sale on ice cream nearby. Or even better, buy one get one free drinks for the next 30 minutes if you mention the secret word “Waturi” to your server. The possibilities are endless. 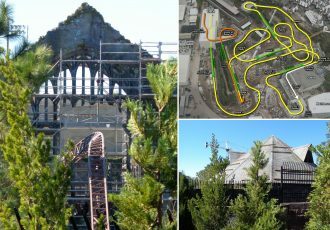 I’ve even heard someone suggest having park-wide random drawings and awarding specific guests free souvenirs or food items via their TapuTapu. That could be exciting! 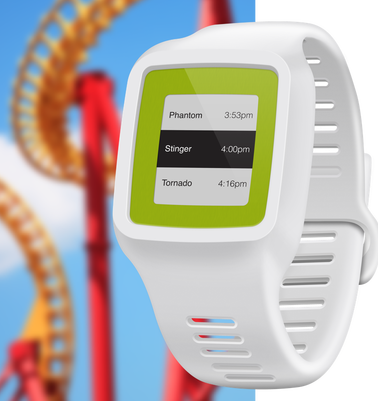 Never miss a memory with automated tagging of ride and park photographs for seamless collection throughout the day. Hasslefree entry at park turnstiles, guest lockers, resort hotel room doors and more. 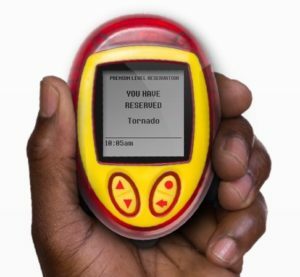 While turnstiles and resort room access isn’t something Universal will be using this system for at Volcano Bay, it’s certainly possible they might consider it for locker rentals. Currently the free lockers at the Incredible Hulk Coaster use a system that scans your park ticket. The other free lockers use a fingerprint scanner combined with knowing your locker number. 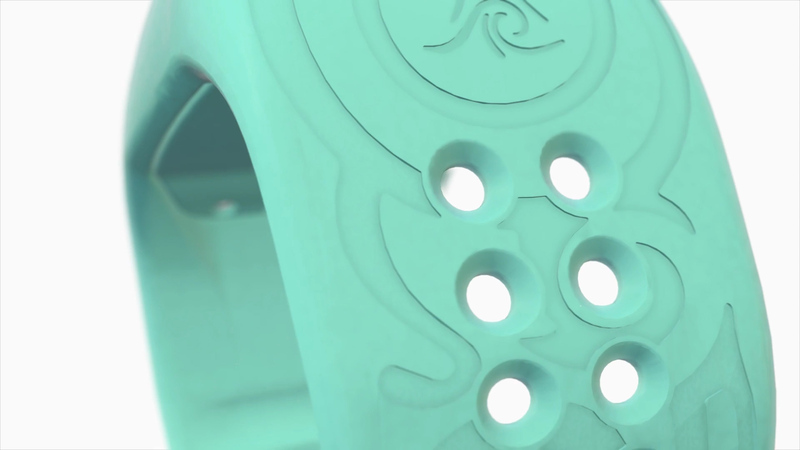 Volcano Bay’s paid lockers could certainly utilize the TapuTapu to gain access. I know I’d rather not carry an orange key around my wrist or ankle all day like other water parks. Collects guest journey information in real-time and provides valuable data to inform park operations and marketing. Ah yes. Where would a virtual queue system be without the ability to track your guests’ every movement throughout the park? 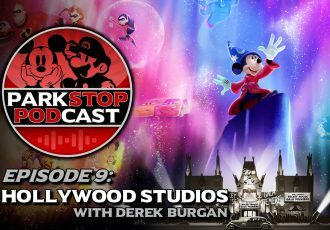 This can be helpful in making changes to enhance the guest experience overall, but also in maximizing profits by helping a company decide where it needs more snack stands and what rides are most popular at what times of the day. Getting into the nitty gritty, it’s interesting to finally have some questions answered about how the TapuTapu will actually work. It makes sense that the little screen has touch screen capability. This means we can scroll through reservations and even cancel on the fly. And I was wondering how the system will “notify” us when it’s time to ride. Turns out the thing has a vibration motor built-in. And in case you were wondering, they can go 200 days before needing the battery replaced. Something else that caught my eye while reading up on the Prism system was “Multiple Service Levels.” There’s the ability to offer different levels to different guests, each with their own levels of wait time rules. 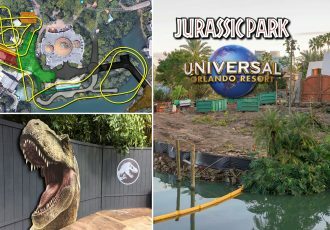 Theoretically a park could offer a free “Bronze” package to everyone, but charge extra for “Silver” and “Gold” packages that offer reduced wait times. Preference can be given to Gold guests the same way Express users in the existing two parks get to go ahead of the standby guests. Actually, it turns out Volcano Bay will be offering Universal Express. Much in the same way the other two parks do. 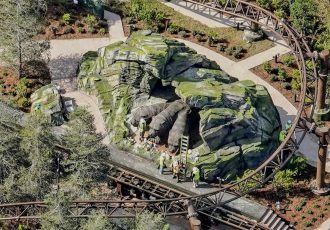 Guests staying at the moderate and high end on-site hotels will receive unlimited Express, plus other Express packages will be available to all guests for an additional charge. 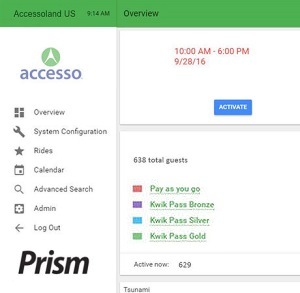 The multiple service level options available for the Prism system will allow Universal to know the difference between guests with unlimited Express, single use Express, or just regular ride entry when they tap their Tapu to the totem at a ride entrance. How long Express holders will have to wait, or whether they walk right onto the ride is still not known yet. 1. Arrive at Universal’s Volcano Bay and get ready for a day full of fun and relaxation. 2. Receive your TapuTapu wearable as you enter the park. Every guest will receive TapuTapu for the day to unlock the wonders of our island paradise. 3. Look for totems marked with the Volcano Bay logo at the entrance to each attraction. 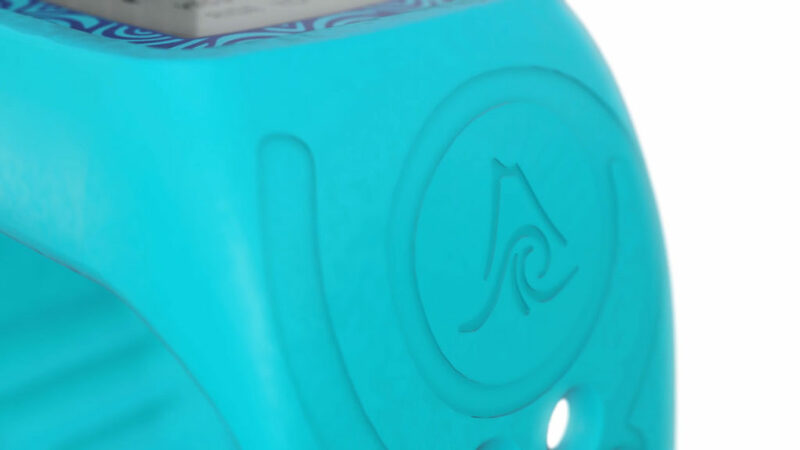 Upon touching your TapuTapu to the totems, you’ll be able to hold your place in line with Virtual Line. Explore the park, take a spin in one of two rivers or grab a bit to eat. 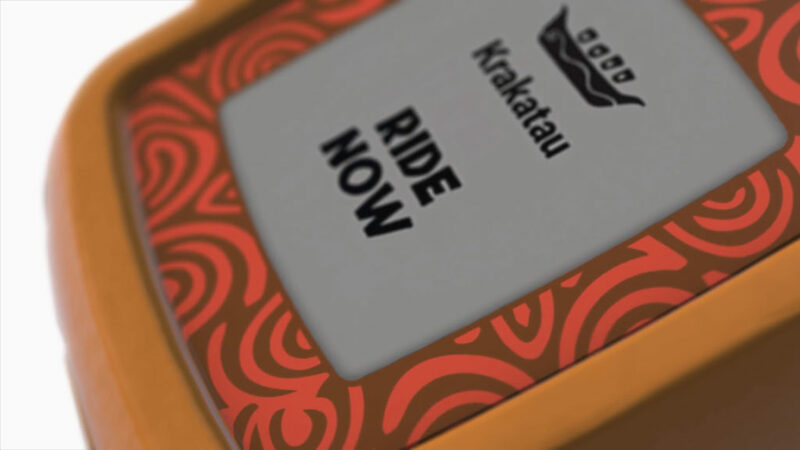 Your TapuTapu will alert you when it’s time to ride. 4. You’ll also be able to unlock interactive surprises throughout the park. Control streams of water spurting from whales in Tot Tiki Reef. Shoot water cannons at other guests snaking down Kopiko Wai Winding River. Or illuminate images in the volcano’s hidden caves. 5. 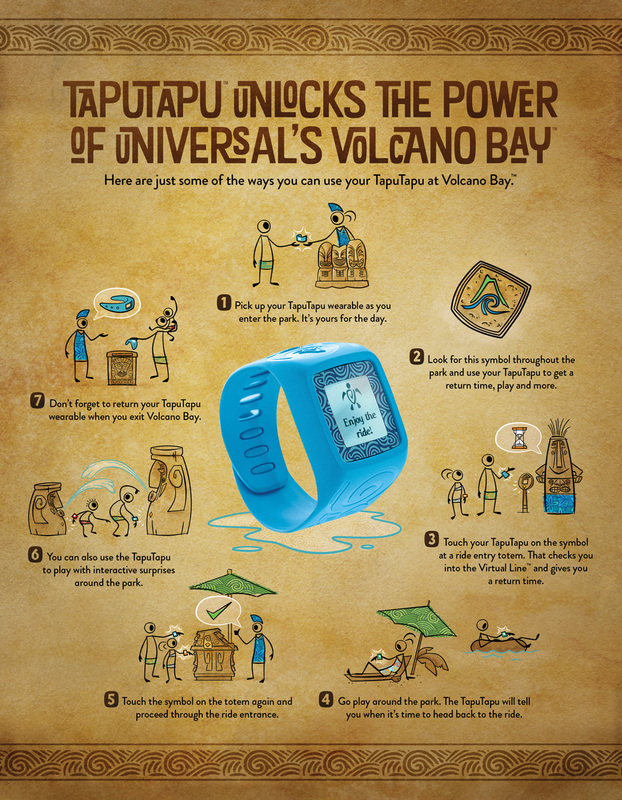 Return your TapuTapu as you exit the park, and remember all the fun you had at Volcano Bay! That’s all for now. Hope you enjoyed exploring the tech about TapuTapu as much as I have! 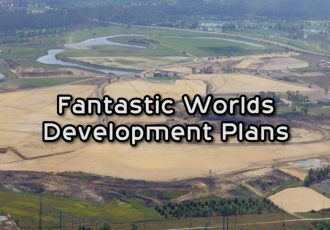 Check out our continuing coverage of Volcano Bay construction here. And be sure to subscribe to the news feed and YouTube Channel for more. Thanks! See all Volcano Bay updates, including original concept art, building plans, and news updates here. Learn more about TapuTapu and how you’ll be able to use it here. Stay tuned to the feed for breaking theme park news and more Volcano Bay updates!